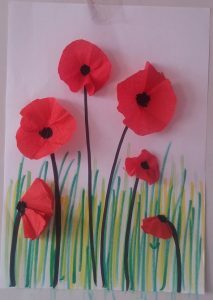 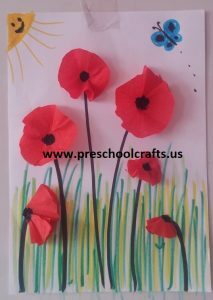 This page has a poppy spring themed craft idea for kids, homeschoolers, toddlers, preschool, kindergarten, primary school, first grade, elemantry…Kids are development to fine motor skills and creative with this poppy craft idea. 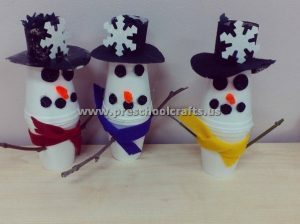 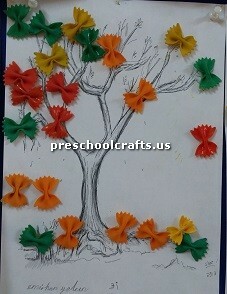 It is easy and fun craft activity for kids. 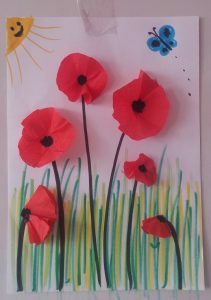 Crayons( yellow, green, light green, black and blue ) or water paint..
How to Make Poppy for Spring Themed Craft Idea? 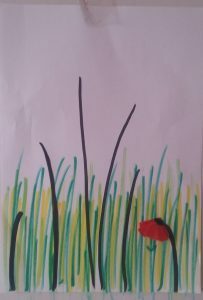 first, we draw vertical lines on the white paper with green, light green and yellow paints to create the grass. 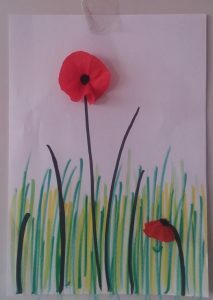 Next, we draw black vertical lines at different lengths to form the body of the poppies. 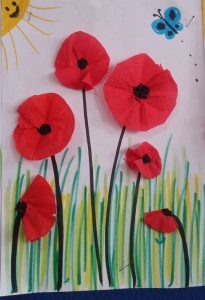 Stick the red circle krapon papers by wrinkling. 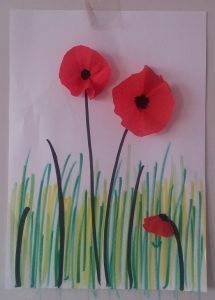 You paint the center of the poppies with black water paint. 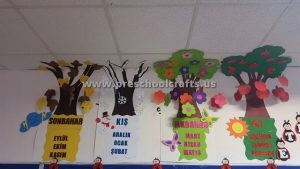 Finally, you can draw sun and butterflies and color its. 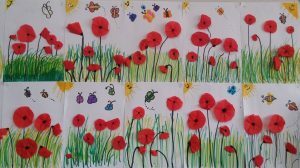 Here is our spring-themed art activity ready!.. 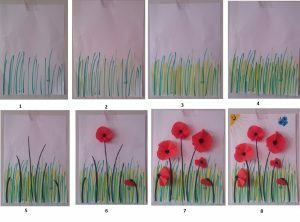 There is spring bulletin board ideas by red poppies on this page.